Hi all. 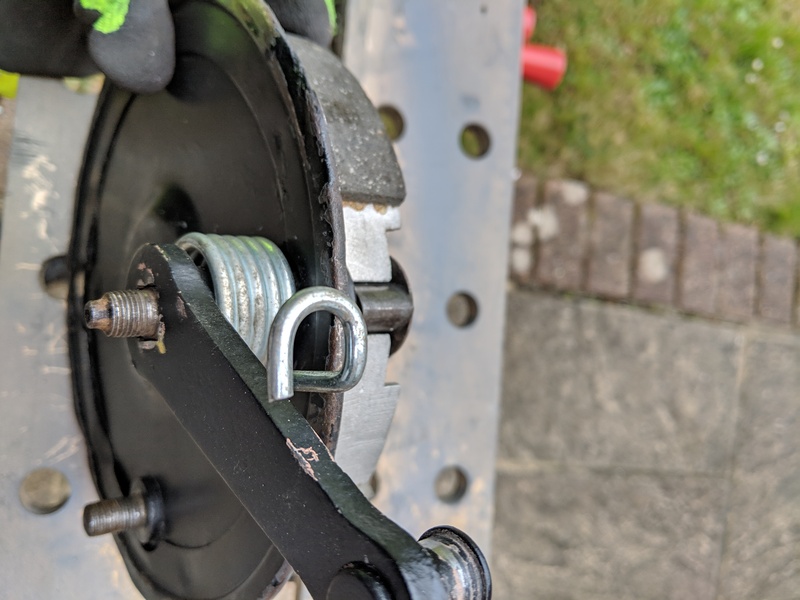 I recently stripped my rear wheel, including removing and refitting the lever that connects the rear brake linkage to the rear brake cam shaft. Upon reassembly I found that the travel in the brake pedal was extremely excessive, to the point it almost touched the ground, something clearly wasn't right. I am at a complete blank as to what the problem is, after all there isn't much to these things. I can only think it's something to do with the indexing of the rear brake cam lever to the cam spindle. 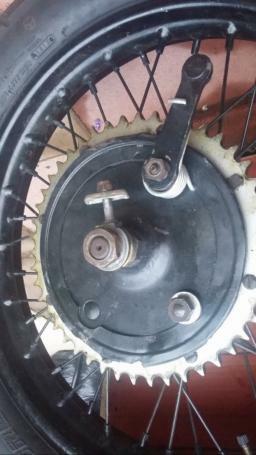 There are only two positions that I can think that it could go, see both pictures, in one position there is no pre-tension in the spring, in the other the spring tension causes the cam to open up, this effectively results in the brake shoes retracting when the lever is operated rather than expanding. Both positions result in extreme brake pedal movement. Can anyone advise what the correct assembly method is for the lever please? Okay that's good to know. I'll have another play around with the indexing. Did you find that in that position the brake was quite firmly on with the wheel out of the bike? 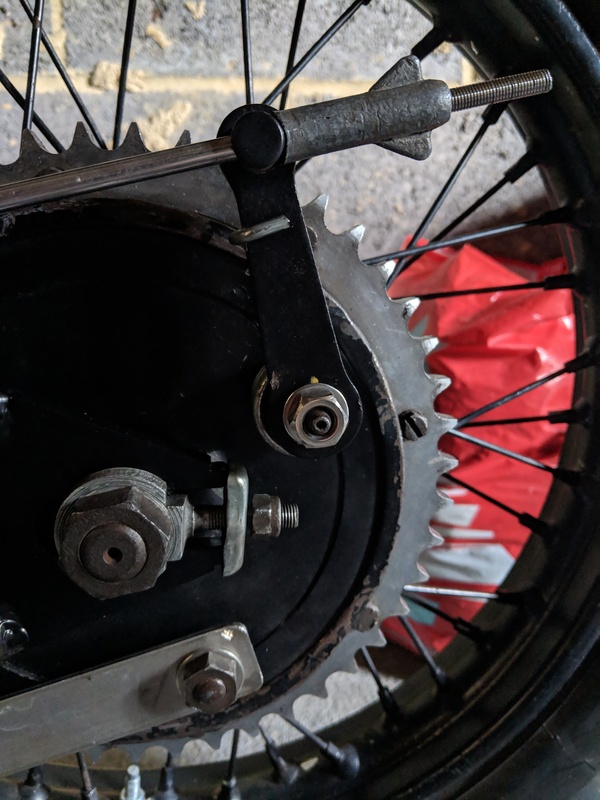 On my T100R that is the case because the lever arm spring takes the cam over centre and applies the brake 'backwards'. 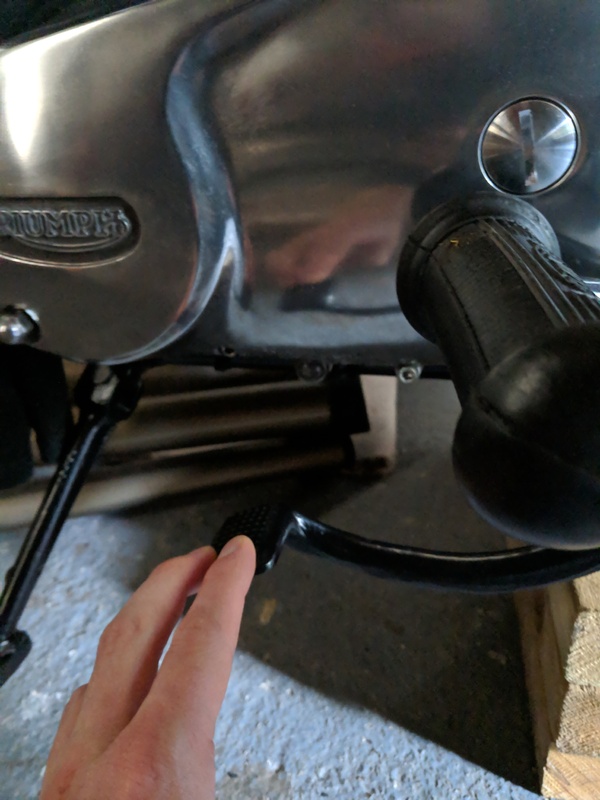 I've done exactly the same as you today, took it all apart to clean/grease without marking where the lever should be replaced. 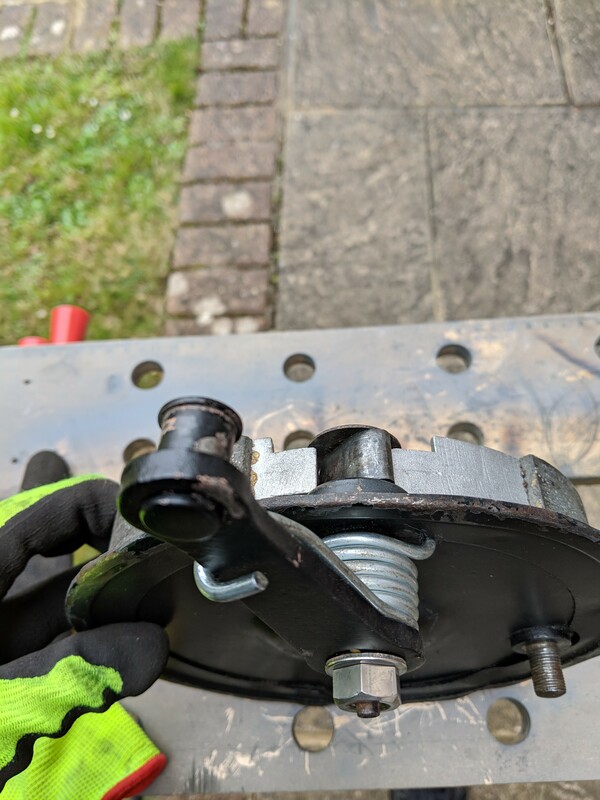 The pics are where I think it was before I took it apart and it works putting the brake plate back in the hub but I can't be certain until the wheel's back in. 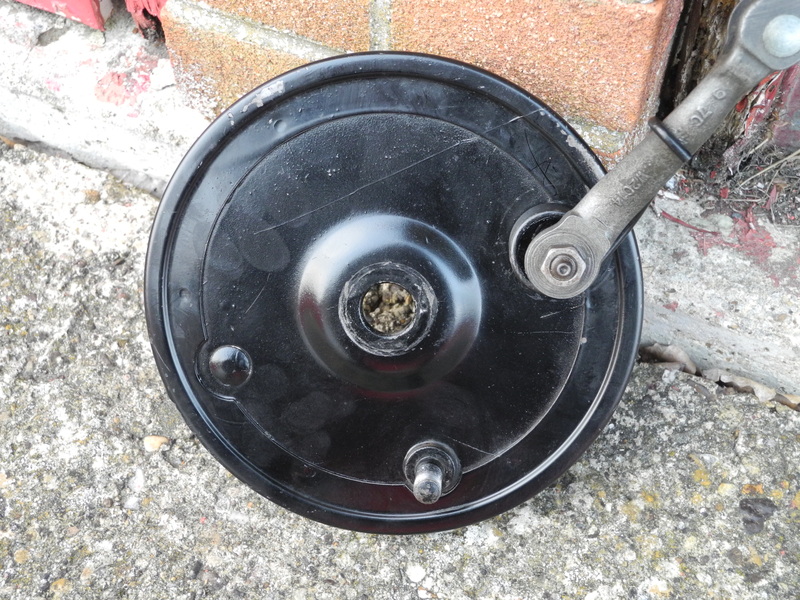 I have assembled the brake as shown in the first image. 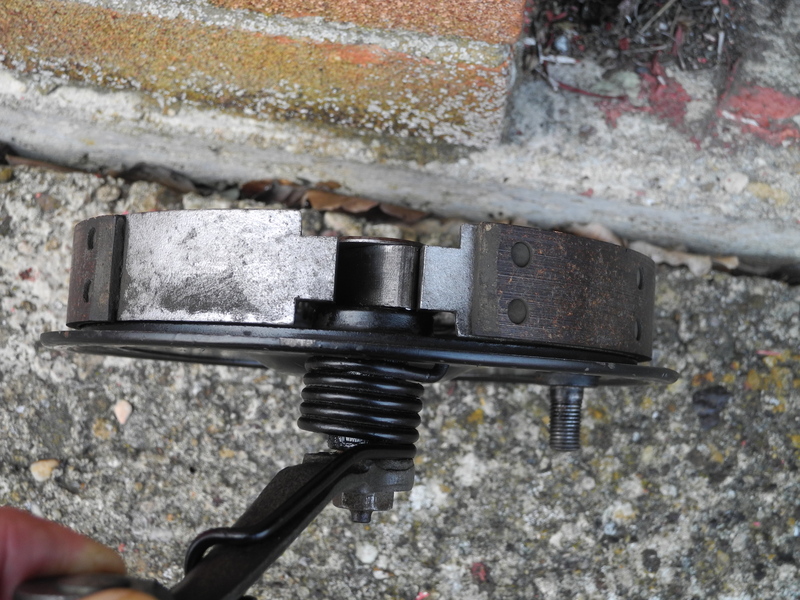 All seems fine when fitted however it still results in excessive pedal travel, see pic. This is with the adjuster wound all the way in. There is plenty of meat on the shoes and it worked fine before taking it apart. I'm clearly missing something. Does anyone have any other ideas?